"What is it about color guard? Well, tonight you're going to find out." In the summer of 2015, legendary musician David Byrne staged an event at Brooklyn's Barclays Center to celebrate the creativity of Color Guard: synchronized dance routines involving flags, rifles, and sabers, colloquially known as "the sport of the arts." Contemporary Color is a performance documentary capturing the exhilarating experience of enjoying this once-in-a-lifetime show. Performers at the event included St. Vincent, Nelly Furtado, Devonté Hynes, Zola Jesus, Ad-Rock, tUnE-yArDs, and Ira Glass, collaborating with 10 color guard teams from across the US and Canada. This looks like a very vibrant and energetic show captured exquisitely on camera. In the summer of 2015, legendary musician David Byrne staged an event at Brooklyn's Barclays Center to celebrate the art of Color Guard: synchronized dance routines involving flags, rifles, and sabers. Recruiting performers that include the likes of Saint Vincent, Nelly Furtado, Ad-Rock, and Ira Glass to collaborate on original pieces with 10 color guard teams from across the US and Canada, Contemporary Color is a beautifully filmed snapshot of a one-of-a-kind live event. 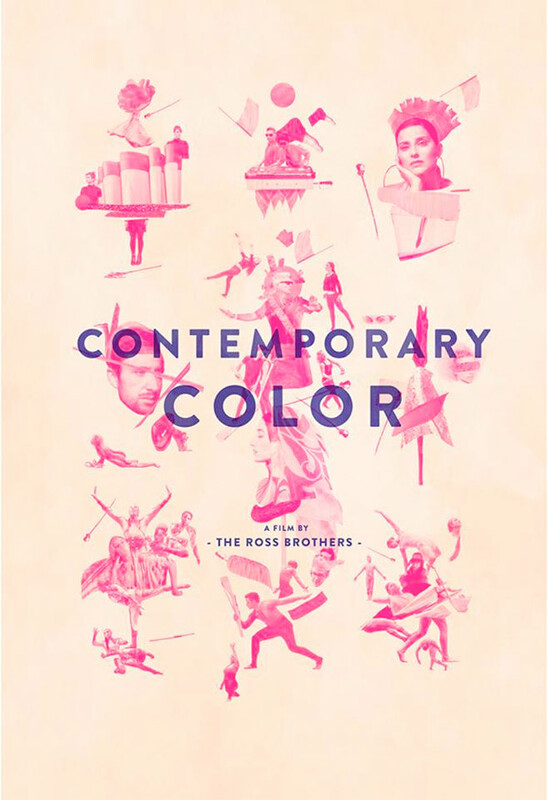 Contemporary Color is co-directed by filmmakers Bill Ross IV & Turner Ross, of the fantastic documentary Western previously. This first premiered at the Tribeca Film Festival last year and has played at numerous other festivals through 2016. Oscilloscope will release Contemporary Color in select theaters starting on March 1st this winter. Anyone? Mos def not going to be seeing this, but it is a very, very cool concept. I reckon my son would like this, often I like these process videos more than the performance.